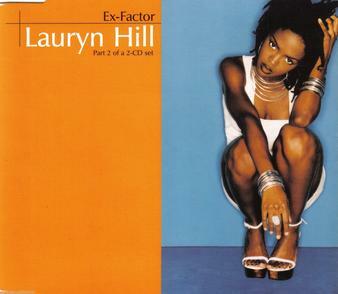 It could all be so simple But you'd rather make it hard Loving you is like a battle And we both end up with scars - Lauryn Hill, "Ex Factor"
I remember the summer of 1998 when “Ex Factor” came out. I had just experienced my first heartbreak and programmed that plus “Friend of Mine” by Kelly Price to play on repeat whenever my ex walked into the Brooklyn apartment we shared for a summer. Who knew that sixteen years later, I would finally realize that love truly is simple. In this past year, I’ve learned three lessons that could have prevented my divorce and now serve as the foundation for my current relationship. 1. In love there are no losers or winners; victims or perpetrators; wrong or right.. EVER. How many of us have had some version of this argument? It happens when we approach love as a transaction where someone is supposed to give and the other is to receive. When we feel that we are giving all that we can or that the other person isn’t meeting our needs, bitter, ugly resentment occurs. I wish I would have known then that both parties are to both give and receive at the same time. I wish I would have known that the problem is never the other person, but a lack of communication, trust, and intimacy. When that happens, we are to be responsible to name the thing not the person. We are to come together and discuss how we each will work towards filling in that crack because we are both mutually responsible. When we work together with the same agenda and on the same communicated page, we are then supposed to actively receive what the other is giving. It’s not always going to be perfect or in the package that we expect, but if we look for the subtle gifts and see it in the affirmative instead of looking for them to mess up, we just might be setting the foundation for the other person to be more vulnerable to give. Does this mean that we should be content with any old treatment? Not. At. All. Love should never abuse, demean, threaten, or suppress. If you or the other person doesn’t want to both give and receive, look for and be the good, then it’s not a mutual relationship and will lead to heart ache. 2. Love does not absolve you of caring for yourself. When I was 26, I could only see the misogynist message that if you don’t look like a model and your man strays, then it’s your fault. Almost ten years later, I can see (and hope) the sentiment is that self-care is essential. It creates incredible pressure on your partner when you rely solely on their validation. More damaging, it imprints in your psyche that caring for yourself is only valuable if someone else does it. We rely on others to do for us what we won’t do for ourselves. We make self-care a reaction to someone else’s value of us instead of believing intrinsically that care, touch, beauty, time, and tenderness are our birthrights that we can give ourselves. Don’t get me wrong. I’m not saying that your partner shouldn’t validate you as well. It’s just that they aren’t the only one responsible for your care. 3. It is essential to communicate in love and gratitude, not with accusations and blame. Words hurt. Words kill. Words can destroy in ways that actions have a difficult time repairing. When we use language like bullets or ammunition, even when we apologize later, they chink at the foundation of trust and intimacy. Harmful words aren’t always the obvious insults and profanity. They can also be the ones that place blame and accuse even when it seems innocent. “You never pick up after yourself!” can be received so much differently if it were phrased “I feel really stressed when there’s clutter. Can we come up with a solution for tackling this because I know we both are busy, and we both care about having a calm home.” See the difference? I would be lying if I said that I always speak like the latter example, but I can aspire to it because I know first hand the damage that careless words can cause. These three tips can be applied to all relationships- familial, platonic, and professional. By loving through self-care, compassionate communication, and shared responsibility we dismantle the ego and allow more room for true peace.